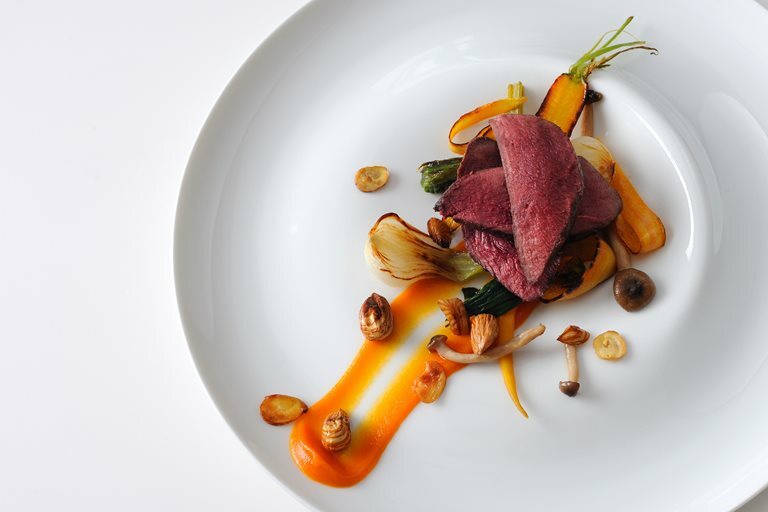 Alan Murchison uses cobnuts as a garnish in this glorious wood pigeon recipe. Cobnuts are a variety of hazelnuts and can be found growing naturally around the UK, particularly in Kent. When fresh, cobnuts have a distinctive coconut flavour, which becomes sweeter and juicier as the nut matures.